Outlook Mac Recovery Software is compatible with Windows 10, 8.1, 8, 7, XP, Vista and all the below versions. OLM Recovery Tool provides an alternative option to the users to restore multiple emails from OLM file to EML file format. The tool creates an .eml file for each email that is present in the OLM file. It embeds all the attachments along with emails after repairing corrupted OLM files from Outlook Mac Operating System. Users can recover the OLM files that are inaccessible and can easily convert the deleted items of OLM emails. Using this option, you can recover OLM files even if the items are not available in the deleted folder. It makes easy to recover the emails from deleted items folder like sent items, drafts or any customized folder. The Free OLM Repair Tool provides users with the option to keep the on-disk folder hierarchy intact while migrating Outlook Mac OLM data files. Users can even mark 'Yes' or 'No' option for retaining the folder hierarchy. If the user enables this option, then the tool retains the folder structure after converting the file as EML file format easily. 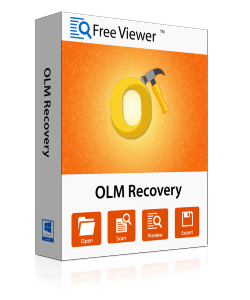 The OLM Recovery Software provides an option to save mails from Mac Outlook to EML. It provides two naming options through which one can save the resultant OLM files to EML format. Load as Subject: It saves EML files according to email subject with an ease. Store as GUID: Makes Globally Unique Identifier Code for resultant EML Files. After migrating OLM files to EML, the OLM Repair Tool saves the file in the desired location. Users can also import files to the other mail clients. The stored files can be used in Outlook Express, Windows Live Mail, Windows Mail mailing client etc. Users need to drag and drop the EML files to a selected folder. Once the task to Repair OLM file is done, the tool saves Mac Outlook emails to EML. It generates a brief about the export process. The report consists of details like Export mail count, current folder processing, the current path of folders & current mail subject name, etc. Demo Version of Mac Outlook OLM Recovery Tool Allows a User to Repair Corrupted OLM File, Convert & Save 50 Emails to EML Format. Explain the working of OLM Recovery Tool? 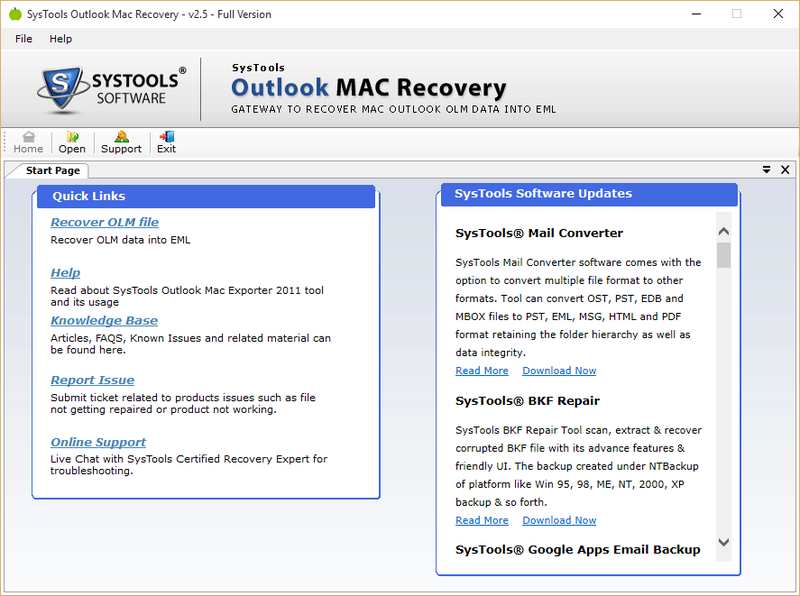 Step 1: Install & run Outlook Mac Recovery Software. Step 3: Browse and select the destination location to save the output EML file. Step 4: Click on the option to maintain the folder structure and proceed to export. Step 5: The software will show the progress report of all the data items that have been exported to EML format. Step 6: Now, you can access your OLM emails in EML format in the saved location. Is it possible to recover the deleted items folder using the OLM Recovery Tool? Yes, using the OLM Repair program, it is possible to recover data from the deleted items folder. In addition to it, the software can even retrieve the data from sent items, inbox, etc. Is it possible to store OLM files to EML format in batch using the OLM Recovery Utility easily? Yes, it is possible to save OLM files to EML format in bulk via the tool. Moreover, using the free OLM Repair Tool only 50 emails can be stored. But, the paid version does it for all the mail folders. Is there technical team available round the clock to help customers in restoring Mac Outlook OLM Files? Yes, the OLM Recovery Tool comes with technical assistance and installation guide to reach out to customers at the time of need. 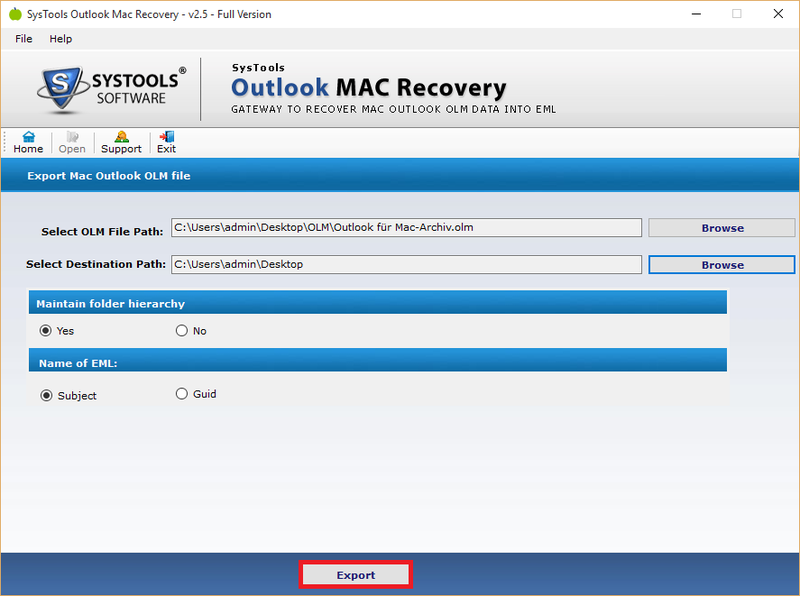 Is it possible to repair Outlook 2016 Mac easily via the OLM Recovery tool? 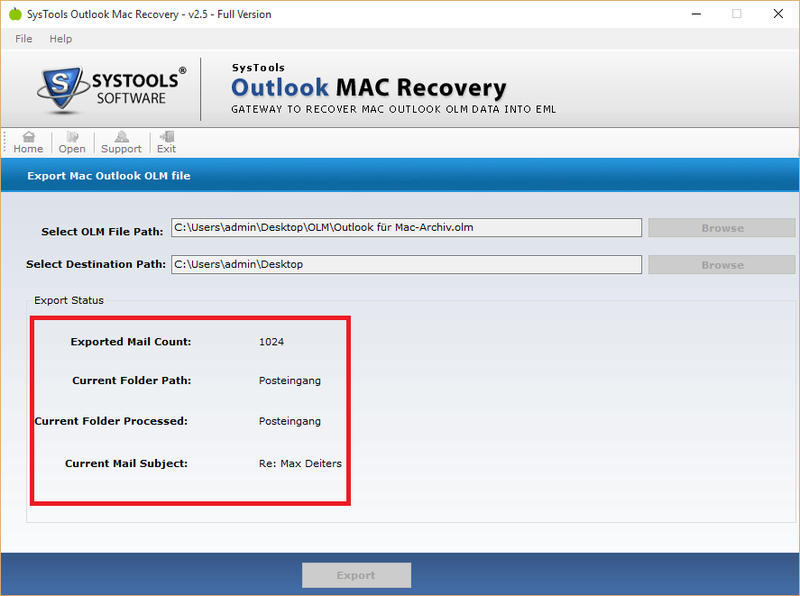 Yes, it is completely possible to recover OLM files of Mac Outlook easily using the utility. Are there any restrictions imposed on the files when it comes to recovering the files of any size? No, the OLM Repair Tool does not impose any limitations when it comes to recovering Mac OLM files with an ease. Is it possible to save the Export Report of the complete conversion process? Yes, the OLM Recovery tool renders with an option to save the complete migration report of the entire process. "I wish FreeViewer developers all the best for their future endeavors. You guys are doing an amazing work. It seems like the tool has the credibility to solve all the recovery problems. I would recommend that every user should give the OLM Repair Tool a try. Bravo Developers! You guys are simply awesome." "Thanks, developers! For incarnating such a wonderful product. The OLM Recovery tool has a marvelous approach and robust structure that makes it different from all the global products. I wish the developer’s team all the best and keep making such brilliant products that can solve all the damaged OLM files." "It was really difficult for me to get all the Mac Outlook OLM emails on Windows operating system. But with the help of OLM File Recovery Software, it becomes easy for me to do such task. In my opinion, this tool really works well. The performance of the tool is too good." "It was hard for me as a non-technical person to repair and recover data from corrupted, inaccessible & deleted OLM file. But when I used OLM Recovery Tool, I was able to perform recovery as well as conversion process of OLM to EML file format. Thanks, FreeViewer for such tool!"